Zynga recently hired Microsoft executive Don Mattrick as chief executive officer. He replaces co-founder Mark Pincus, who is now chairman and chief product officer. Unlike many, I don’t think anything has really changed at Zynga, despite the executive room musical chairs. All that change was done for the benefit of (mostly out of the loop) Wall Street investors. Things are not going to be anywhere close to fine for awhile. During the just-announced earnings for the second quarter of 2013, the company saw a 31 percent decline in year-over-year revenues, a 38 percent decline in bookings and a loss of $15.8 million versus the $22.8 million it lost in Q2 2012. The worst part of Zynga’s misery, though, isn’t reflected in revenues — it is the company’s disappearing user base. Zynga has to retrench and become a company that makes games, and then it has to maximize monetizaton. Of course, that means Zynga has to become a real gaming company — hence the hiring of Mattrick. Except for one small thing: Pincus in his twin role is still pretty much in charge. Zynga, to be clear, has a product problem — and Pincus isn’t the answer. I mean, if he had the answers to its product problems wouldn’t he have fixed them when he was CEO? Zynga will continue to have a product problem because it doesn’t know how to crack the mobile market and it doesn’t know how to build engaging games. As a company, it has as much creativity as a piece of caked mud in a dry creek bed. Of course, things aren’t going to work, and this time Zynga’s board will have a perfect fall guy: Mattrick. How long will he last? My guess is somewhere between 16 and 24 months. That’s about the time it takes for Pincus to fall out of love with new executive hires. Don’t believe me, just look at the executive exodus at Zynga. Owen Van Natta, formerly of Amazon, Facebook and MySpace, joined Zynga as chief business officer in August 2010. Fifteen months later, in November 2011, he was out the door. John Schappert, an Electronics Arts executive, joined as chief operating officer in June 2011 and exited on August 12 — about 14 months later. Of course, Mattrick could turn out to be a creative genius and last as long as Mike Verdu, who joined Zynga as chief creative officer in June 2009. He left in August 2012 — 38 months later. I wouldn’t count on it, though, considering the board won’t have much patience. 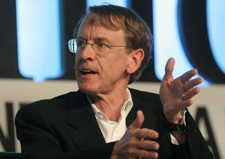 Didn’t one of Zynga’s #1 fans and one of its major investors Kleiner Perkins’ John Doerr say he wants Zynga “to get that stock price back above $10/share … where god intended it to be.” No pressure, except that KPCB owns 60 million shares of Zynga. I used to play their games but the games have got so many bugs and issues that playing becomes a frustrating experience. Messages to Zynga are answered with a clear message that as players, we are insignificant and don’t matter. My group of friends and I don’t play ANY Zynga games anymore….why suffer the frustration when they don’t care? It’s just not worth it. Lots of other game companies out there–we’ll give them our business. Zynga also has a practice of hiring people for one year then laying them off. It’s happened to several friends of mine. Seems stupid to me too; they take the time to train these people then have to start training again with a new batch. It takes time and money to train new people; after one year, I guess it’s an issue of not wanting to have to pay benefits for these “long time” workers. Too bad.